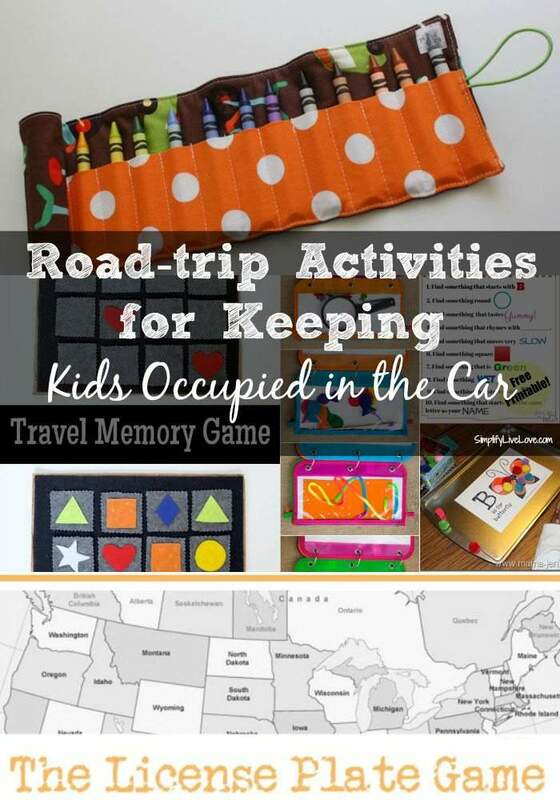 The key to smooth car travel is lots of road trip games for kids. Enjoy this list of fun ways to keep your kids occupied in the car without resorting to electronics! Welcome! 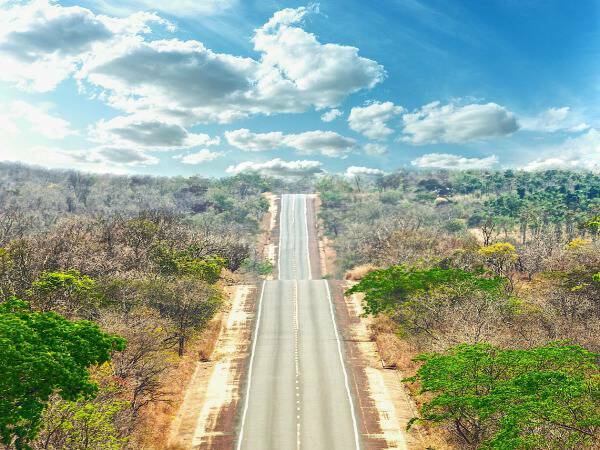 If you’re reading this post, chances are you’ve got a road trip coming up. Driving everywhere is one of the only ways we can afford to travel with six people in our family. The kids and I especially, log a lot of travel miles in my car. I know you will love the selection of road trip activities we’ve put together for you. Enjoy the list and let me know what you liked most or would most like to see! If you’re a crafty mom, you might really like some of these NEXT ideas – they can help amuse your kiddos and keep the “Are we there yet questions” to a minimum! 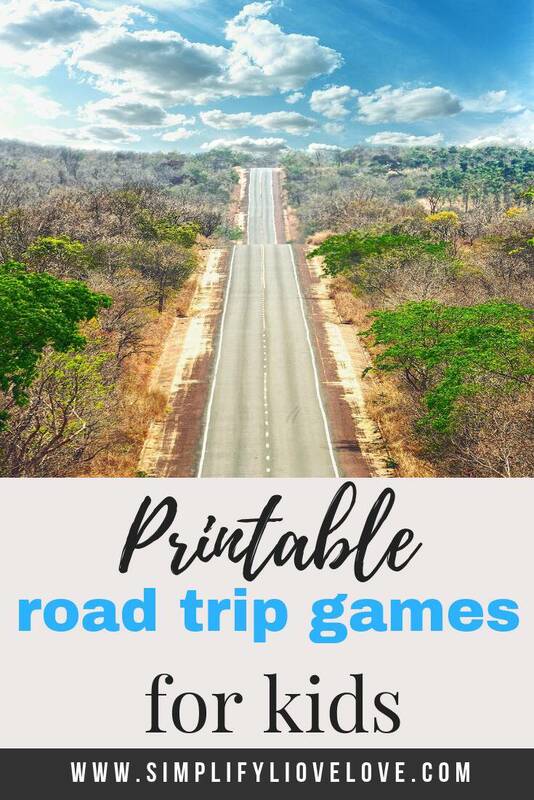 If you’ve got a little time to prepare for your upcoming road trip, I really recommend making a few of these road trip activities. 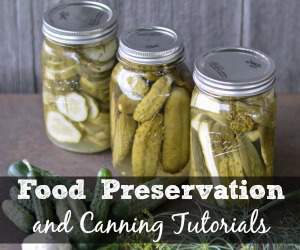 They take a little more time to prepare than simply printing out from your computer, but they are cute and educational too! Your kids will really enjoy them. We’re heading out next week for our Spring Break in Florida! The links in this post will help us all have a pleasant 20-hour drive. What’s your best tip for surviving long road trips with your kids? 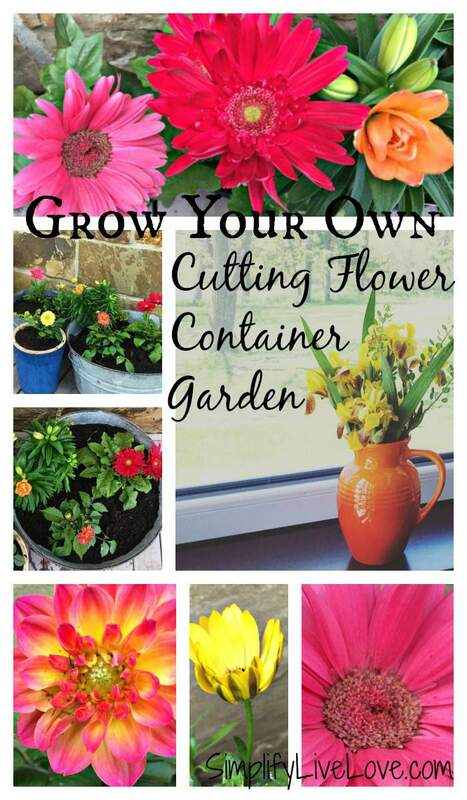 You don’t need a huge space to grow a beautiful and colorful flower cutting garden! 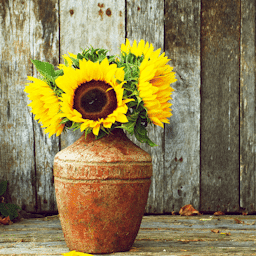 All you need are the right flowers, some pots, and a little bit of inspiration, and you can have beautiful flower arrangements in your home from flowers you grow yourself. 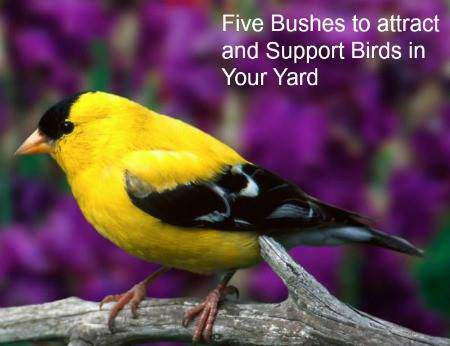 Happy Tuesday, my gardening Friends, and welcome back to Tuesdays in the Garden. 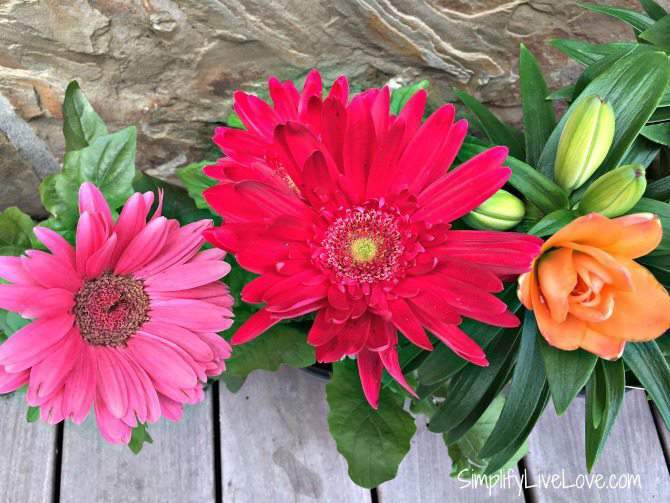 Today, my friends and I are talking blooms. Beautiful, bright, pollinator attracting blooms. 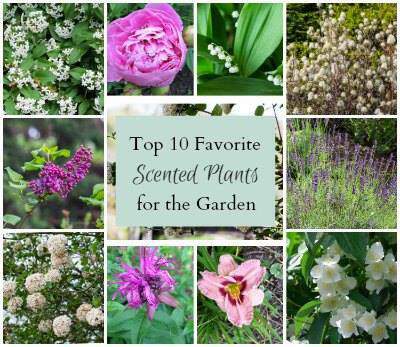 Who doesn’t love flowers in the garden? 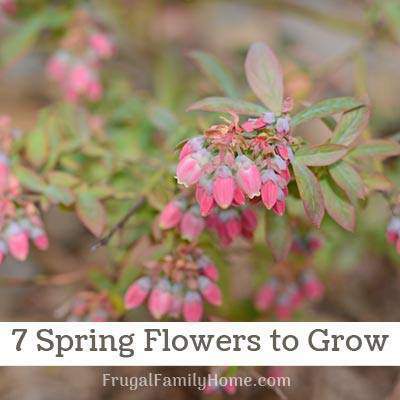 We have lots of beautiful posts for you to check out and I hope they inspire you to add some pops of color to your own outside decor this year. 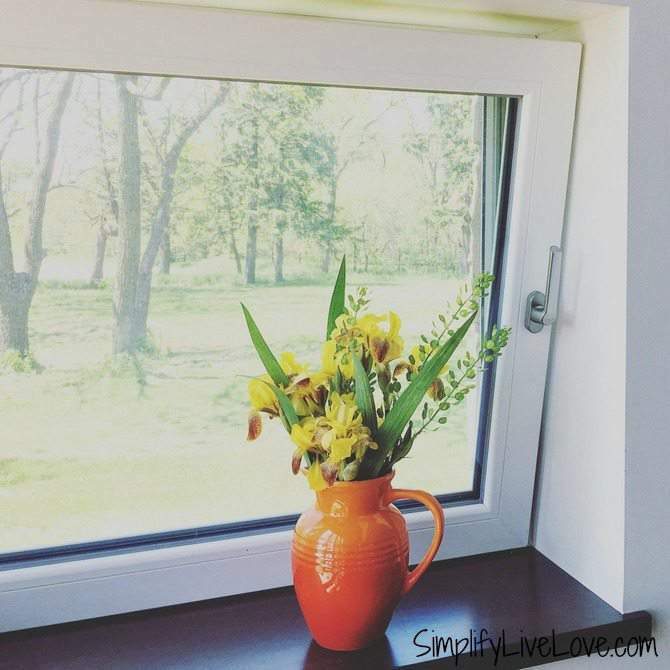 One thing I really love about gardening is being able to bring lovely blooms in my house. I always have irises, sunflowers, and zinnias in my garden to bring indoors, but I haven’t been great about establishing other blooms for cutting. 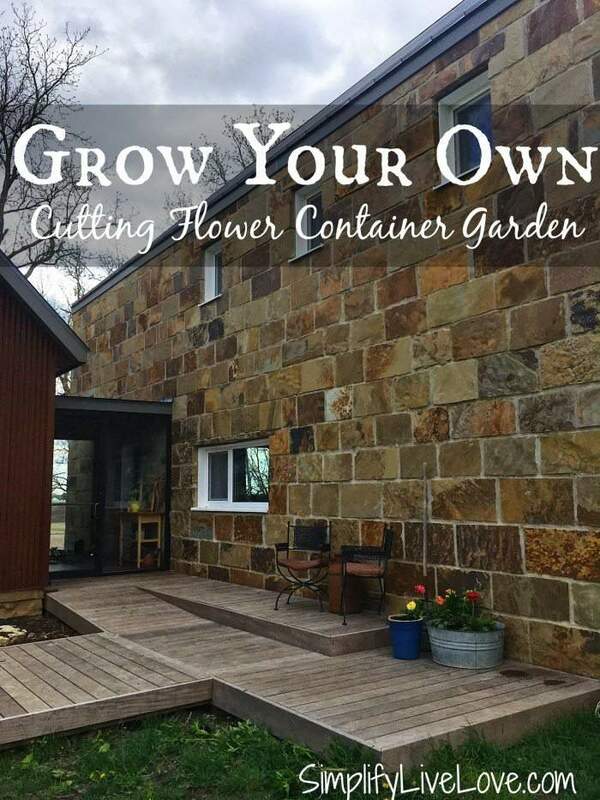 This year I’m trying something new – a cutting flower container garden near my front door. I put this container garden together last week using beautiful and prolific blooms which I look forward to cutting for lovely indoor flower arrangements. I love this time of year when the flowers arrive at gardening nurseries. The colors, the scents, I love everything about the gorgeous displays of Monrovia flowers at the nurseries. 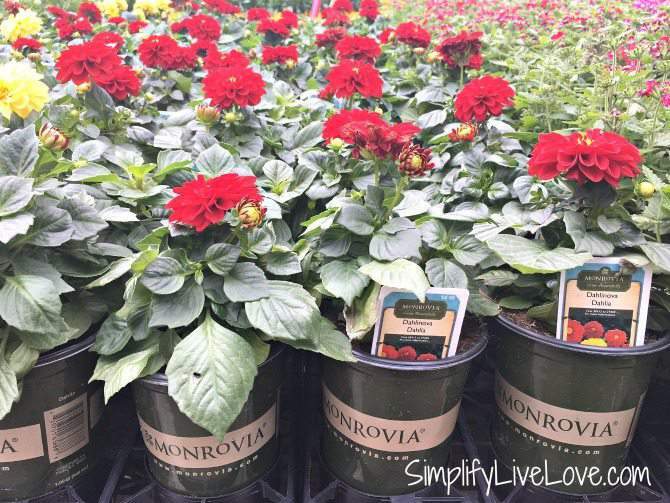 Not only can you go to Lowe’s to buy Monrovia plants, but you can also head over to their website to do a bit of research as well. 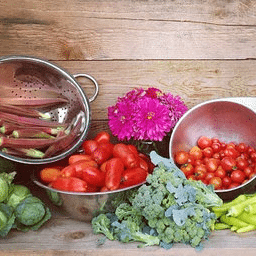 Plug your zip code in here and find out what will grow well in your area! See something you like? Have it shipped directly to your store with free shipping. Make sure to use a large container so there’s room for growth. Don’t forget mulch because it’s not just for traditional gardens. 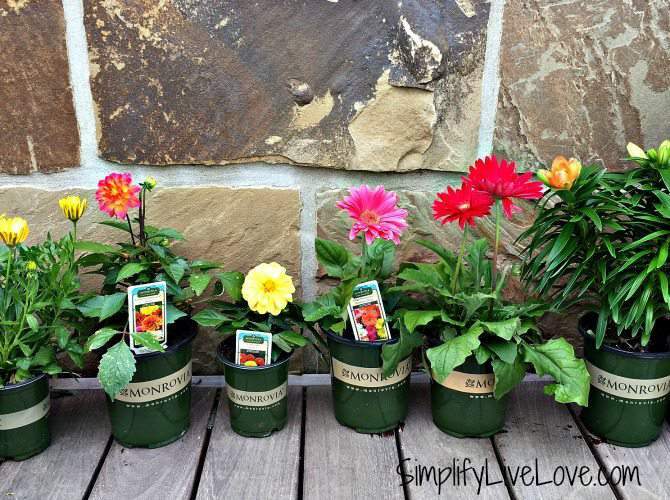 It also helps the plants maintain moisture in containers as well. 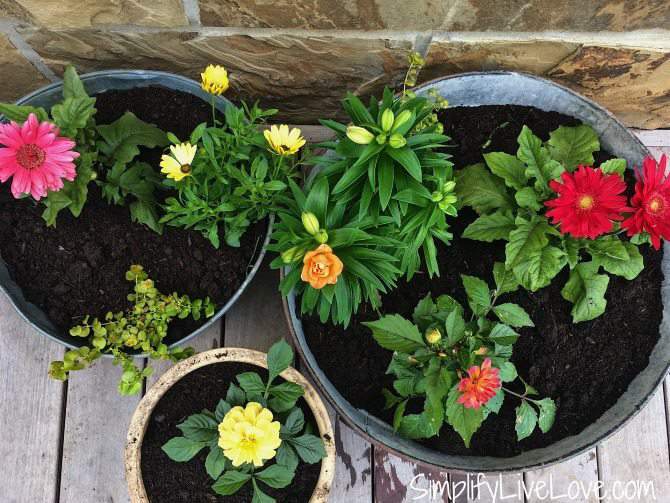 Find a high quality, natural fertilizer to keep your plants healthy. And now it’s time to see what my gardening friends are up to. As promised, we’ve got a lot of great posts for you. I hope you’ll pop over and see what they’re up to! One of the professional highlights of my summer was hosting the #IowaBloggersUnite Mini Conference at our little homestead last month! 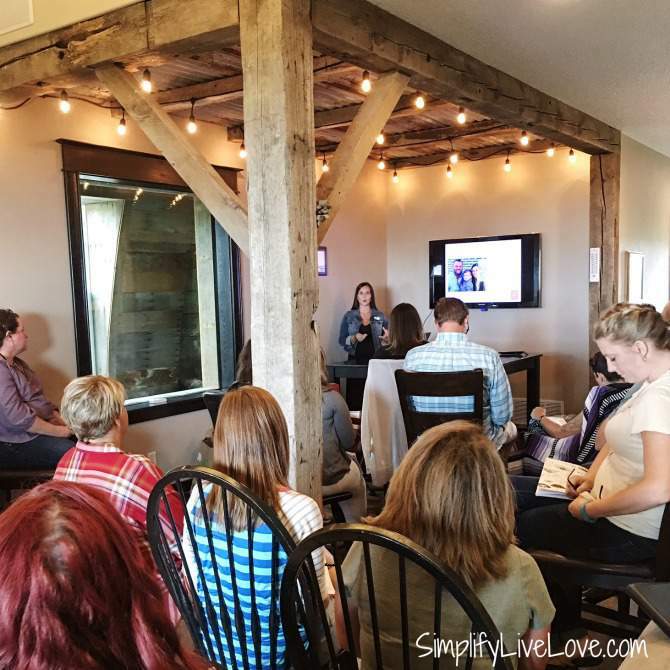 It was a great day of learning and networking with over 30 Iowa bloggers in attendance and today, I’m sharing some of that knowledge with you!! For the past three years, a group of Iowa bloggers has come together for learning and camaraderie. It started in 2014 when Allie from Sweet & Savory Eats first got us together for an afternoon of networking in Iowa City. We had so much fun that the next year Bethany & Nick from Reality Daydream took over and hosted at their homestead. 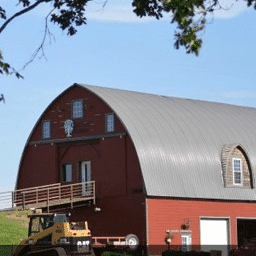 This event including presentations by seriously smart Iowa Bloggers as well as a potluck lunch. At that time, I offered to host it in 2016 and actually kept my word! 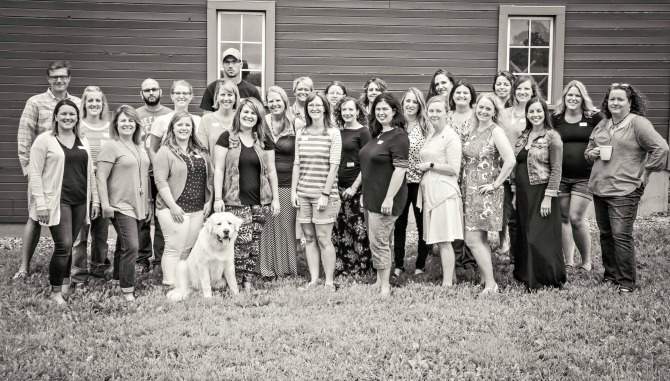 This year, more than thirty bloggers from all over Iowa drove to our homestead and spent the day networking and learning. Although I dreamed ahead of time that no one would show up and the day would be a complete bust, it turned out to be a great day. I’m happy to share some of the useful tips we learned at the third annual #IowaBloggersUnite gathering! 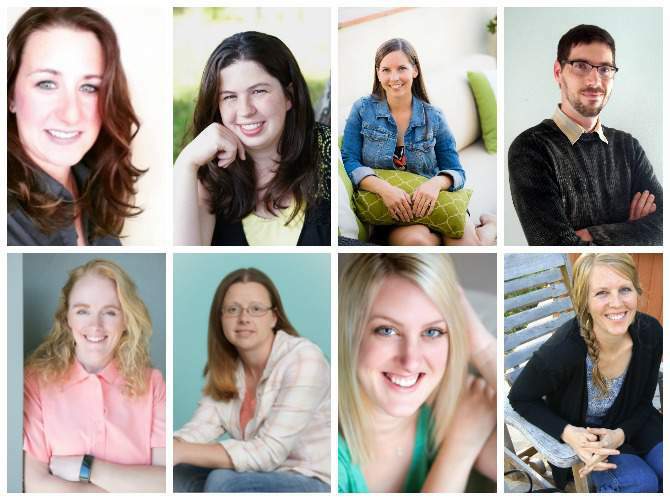 Readers really want to see your beautiful face on your blog so it’s a great idea to have a professional head shot above the fold on your sidebar. We were really lucky to have a professional photographer snap head shots at our conference and upload them online for everyone to use. Use that head shot across all of your social media platforms so that readers can connect with you when they see your smiling face. Many thanks to Kelli from The Sustainable Couple for the contact, and to Kirby Eagle of KirbyEaglePhotography for her generous gift of time and talent! You all know the poem “No Man in An Island” by John Donne, yes? (Maybe the words “For Whom the Bell Tolls” ring a bell?) It’s a classic poem my kids memorized last year in our homeschool and has a great message that we are all connected and important! Bloggers, we can’t do this alone. There’s no need to reinvent the wheel. We all can support each other as business owners if we network. Find a tribe by reaching out to bloggers in your area or bloggers in your niche who you admire and help each other succeed together! Make sure you network with other bloggers as often as you can for inspiration, help, knowledge, commiseration. Not very many days go by where I don’t reach out to at least one other blogger and I wouldn’t still be plugging along without their camaraderie and help. The day I learned there were facebook groups full of kind and helpful bloggers was a great day in my blogging career. To succeed in blogging, you have to do you. I know you’ve heard this before, but with so many, many different blogs out there, something has to set you apart from your competition. I’m still trying to figure out what that is about me, but make sure you do your blog your way! Dare to be different and really connect with the people who read your blog each day. This may come as a surprise, but the really successful bloggers have a lot of help. It is impossible to do everything by yourself. I have a lovely VA, Amanda Long, who’s been working with me for about a year now. Amanda keeps me on my toes, is detailed oriented, very trustworthy, and I can’t recommend her highly enough. If delegating tasks can help free up your time and make your life fun again, do it! You can find groups on facebook dedicated to VAs and blogging professionals of all sorts. Decide what your time is worth. If you can pay someone to do something that frees up your creative time to make more money, then why wouldn’t you do it? Blogging is very visual and pretty photos sell. I’ve been working hard on my photography and it’s helped my Instagram really take off. I have a little secret too. I take almost all of my photos with my phone. I’ve even started editing them on my phone. I still bust out my Nikon to take the “money” shots of my recipes, but honestly, nine times out of ten, I even prefer to use my phone pictures for the money shots as well. I know, sacrilege, but totally true. I edit primarily in the VSCO app and then use PicMonkey to make a long pin and add verbiage to some photos. I also use the IFTTT app to do all sorts of sharing for me once I share my favorite shots on Instagram. Many thanks to Iowa bloggers Beth and Nick, Kristin Porter, Chrissy Taylor, Crystal Rapinchuk, Nicole Brady, and Nicolette Brink for their presentations! 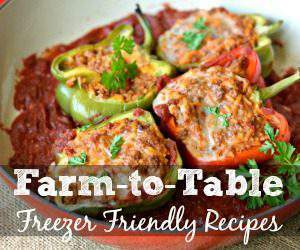 If you haven’t checked out their blogs, I highly recommend doing so! Thanks also to several companies for providing fun swag bags. NOW Foods sent over so many great items: gluten free quinoa pasta and brownie mix, organic popcorn, Coconut Infusions Butter, their new Quinoa Q Cups (quinoa in 5 minutes!! ), Zyli White Toothpaste and more! Their generosity was unbelievable and I’m so thankful. Kalona Super Natural shared their fabulous Organic Chocolate milk and a bunch of organic cottage cheese. 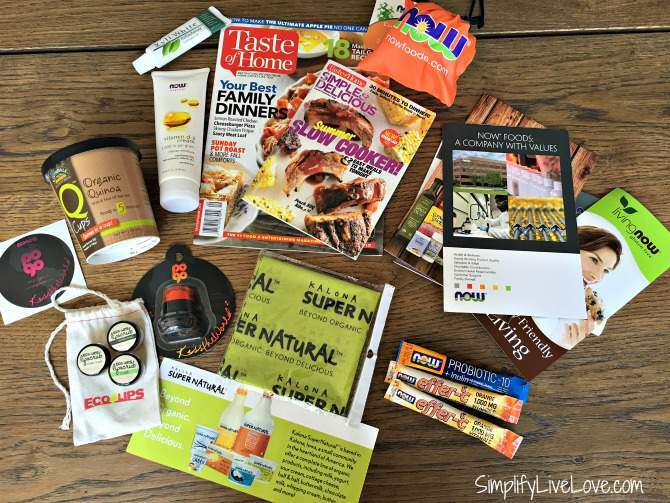 Eco-Lips sent out a bunch fun lip balms and sugar scrubs. And Taste of Home provided magazines for each blogger. In all, we had a great day out here in Eastern Iowa during our mini conference and potluck. If you’re a bloggger, I highly recommend reaching out to other bloggers in your state and getting to know them. I have found everyone to be so friendly and open. It might be because we’re Iowans, but I don’t think that’s it. 😀 And if you’re an Iowa blogger and would like to be involved in #IowaBloggersUnite, please reach out to me and I will add you to our list. If you’ve never grown garlic, this Beginner’s Guide to Growing Garlic will give you all the tools you need from planting to harvest! And if you have grown garlic before, keep reading. You might learn a new trick. 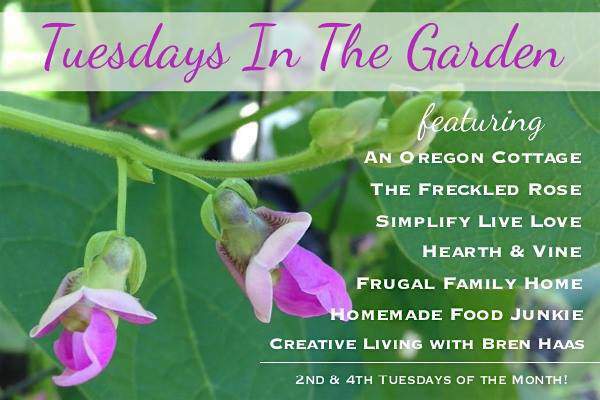 Welcome to Tuesdays in the Garden! 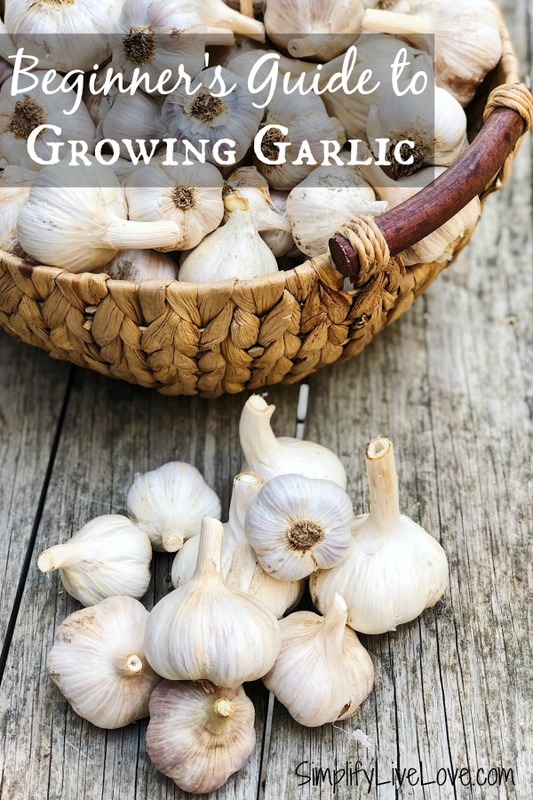 Today I’m sharing tips for growing garlic and my other gardening blogging buddies are also sharing their best tips for growing other veggies as well. Make sure you read to the end of the post for links to their information as well. Garlic is great plant to grow as it enhances so many dishes with its wonderful flavor and it has a lot of medicinal qualities as well. I’ve been growing garlic for a number of years and love it. 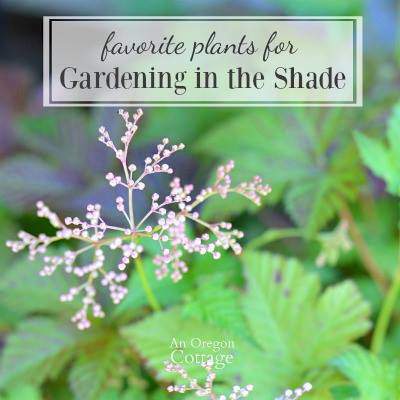 It’s one of my favorite plants to grow, because after it’s planted in the fall, it seems like it grows effortlessly in the spring. 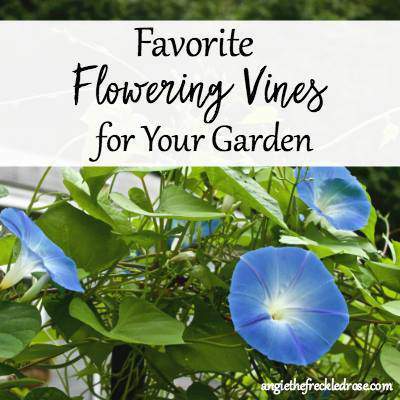 Since I consider myself to be a lazy gardening (ha!) I like that a lot. Here are a few tips and tricks to help you grow the best garlic ever! You can typically start planting garlic in the fall just after your first light frost for a summer harvest. I’ve planted my garlic in the snow out here in Eastern Iowa as the fall always seems to get away from me. Just don’t wait too long. It’s impossible to plant when the ground is frozen and garlic needs an average of 6 to 10 months to mature.